Today as we go about our last minute tasks, let us keep in mind that our God is with us. Instead of anxiety over all there is to do, let’s remember that the only work He requires is to believe in the one He has sent. Once we have entered His rest everything we do from then on, we do in gratitude. We can do nothing to earn this unmerited favor, and nothing we do can take it away. He is with us. 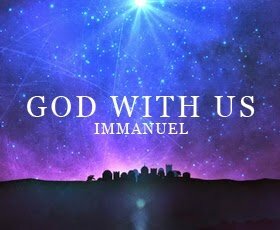 Immanuel. Let us keep this immeasurable truth in our minds today and always, that the creator of the universe, our Savior, is for us and is always with us. Praise be to God! Amen and Amen! previous post: Was Jesus Really Born of a Virgin?